MoliCare® Premium All in One Briefs Extra Plus XS are adult nappies, but in Extra Small size. This makes them ideal for cases when you need a nappy for larger or older children after they have outgrown the standard sizes. The non woven side panels are breathable, keeping the wearer cool and reducing problems with skin irritation. 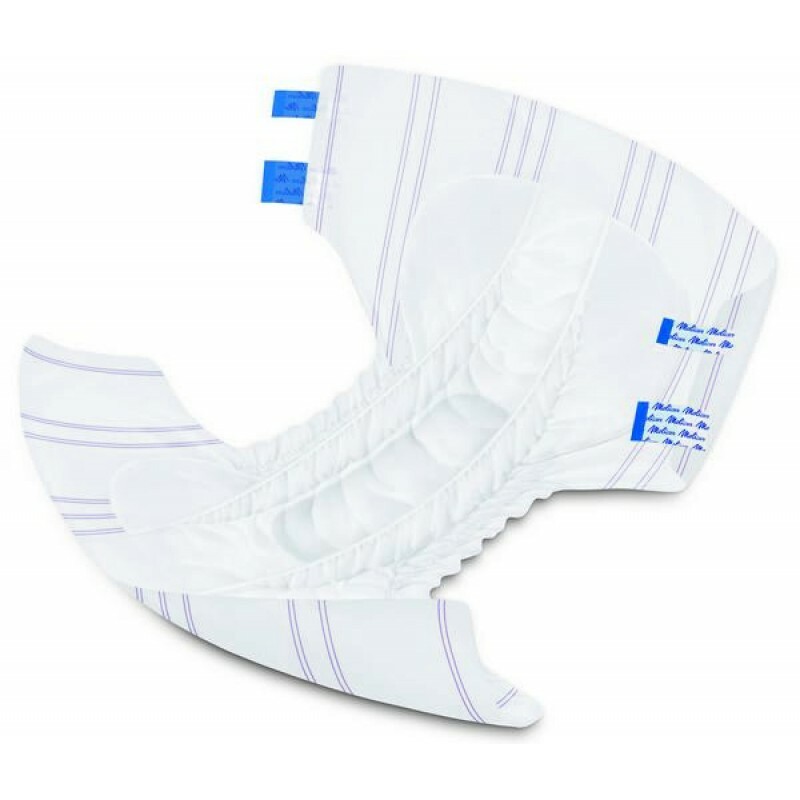 These are ideal for bladder and bowel incontinence, from moderate to very severe. MoliCare® Soft All in One nappies are great for people that are less mobile, or those with a greater level of need. The cover is made from a soft textile like paper which is fully waterproof, soft, comfortable and quiet. The tapes can be reclosed several times making the product convenient for carers, and they have soft inner cuffs to help prevent leaks. The Super Absorbent Powder absorbent core absorbs fluid quickly and has a built in odour neutraliser which enhances the comfort and dignity of the wearer. MoliCare Soft All in One nappies make use of the MoliCare Active Skin Protection system, this means they are dermatologically tested for allergy sufferers, they allow the skin to breathe throught the Air Active system and they have a skin friendly pH level of 5.5 (which is antibacterial). All of this leads to fewer skin conditions which reduces costs for carers and makes the carer more comfortable. You are less likely to have problems with nappy rash using these nappies. If you need help you can call us on 01636 30 20 50 for advice, or even order over the phone. Each pack contains 28 extra small nappies. If you buy in cases you can get bulk discounts, a case contains 4 packs. The MoliCare® Extra Small will fit children from 40-60 cm or 16-24" waist. This chart is approximate - For the best fit please measure your child's waist with a tape measure first. If your child has a waist measurement greater than 60cm or 24" you need to buy size small adult nappies.